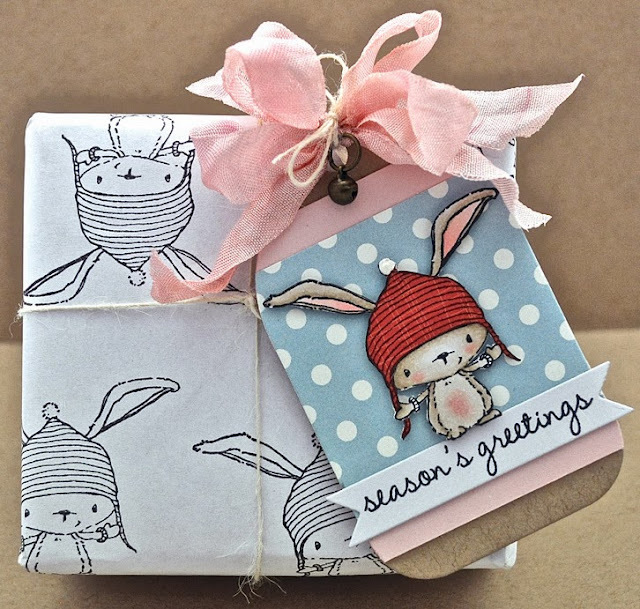 I am back today sharing a fun little gift wrap project using Purple Onion Designs stamps. This was super easy to make and is perfect for those times when you need a last minute little something wrapped and you don't have time to go to the store. I used a piece of plain printer paper and just stamped randomly all over it. You could go even further and colour the images in, but I decided to add the colour with my tag. The image is 'Birch' from Stacy Yacula and he has to be my favourite of all the new images. The sentiment is from the 'Winter Wishes' set, which is also part on the same collection. For more great gift wrapping ideas head on over to the Purple Onion Designs blog and see what the other DT girls have been up to. And don't forget to go shopping with the fabulous 25% off EVERYTHING Holiday Sale! 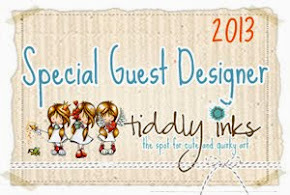 I love the image stamped on the white wrapping paper, what a great complement to the sweet tag! Oh my godness! this is absolutely gorgeous Judith! Very cute! This is so ADORABLE!!! And your coloring is Amazing as Always!!! Love the giftwrappaper too! That is the cutest ... perfect for any occasion. Sweet! Oh this is just the sweetest Judith! I agree this is the cutest stamp, he looks just fab in his red hat too.